Lagos-based ISP startup Tizeti, and its Wifi.com.ng service, has closed a $3-million Series-A round led by 4DX Ventures. 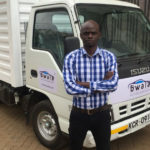 Tizeti builds and operates solar-powered towers while also providing residences, businesses, events and conferences with unlimited high-speed broadband internet access. The startup claims that since it graduated from Y Combinator’s Winter 2017 cohort, it has installed over 7000 Wi-Fi hotspots in Nigeria and that it has 150 000 users. In a statement today (5 September), the startup revealed that Y Combinator Continuity, Lynett Capital, Social Capital, Western Technology Investment, Friále and Golden Palm Investments also participated in the round. As part of the investment, 4DX managing partner and co-founder Walter Baddoo will join Tizeti’s board of directors. Tizeti stated that the investment will be used to finance operations and product development. The funding will also help the company to expand outside of Nigeria — the startup is looking to launch a new consumer facing brand, Wifi Africa, later this year in Ghana. The startup’s co-founder CEO Kendall Ananyi (pictured above, right with co-founder Ifeanyi Okonkwo ) — who founded the company in 2012 with COO Ifeanyi Okonkwo — said the duo want to tackle poor internet connectivity on the continent by developing a “cost-effective solution” for reliable and uncapped internet access for potentially millions of Africans. “We have grown rapidly in the Nigerian market in the last 12 months and expect to continue on this trajectory, as millions more Africans come online. This Series-A investment allows us to continue providing a peerless service in Nigeria, building out our customer base there, as well as scale across Africa, starting with Ghana,” said Ananyi . 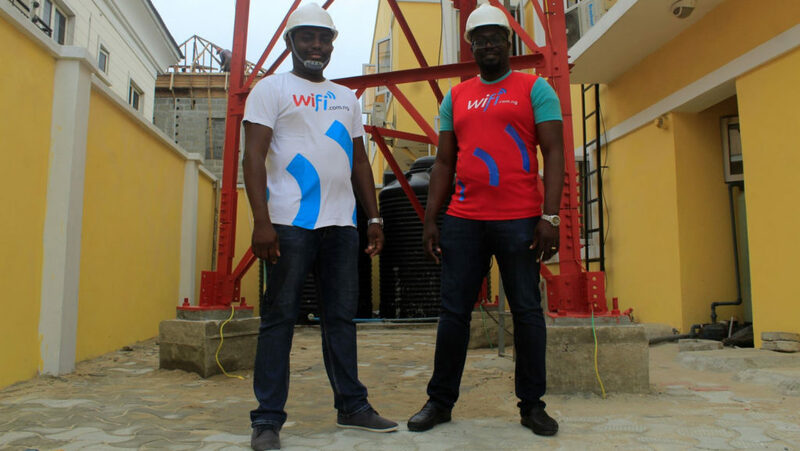 In November last year — three months after Tizeti was selected to be part of World Bank accelerator XL Africa’s first cohort — the startup announced a partnership with Facebook to roll out hundreds of Wi-Fi hotspots across Lagos. Crunchbase estimates that together with this latest investment, Tizeti has raised a total of $5.1-million across three funding rounds. Last year in June, the startup announced it had raised $2.1-million in funding from Y Combinator and at least nine other investors.